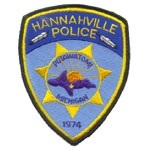 One full time police officer position needed to serve and protect the Hannahville Indian Community through active law enforcement. Duties include investigate and prepare written reports of calls for service and violations of Tribal, State and Federal laws, standard patrol activity, make arrests, render medical assistance, appear before Tribal, State or Federal Courts and assisting the general public. HS Diploma or GED; graduation from an accredited police academy; must be MCOLES licensed or have the ability to become MCOLEs licensed at the time of hire. Associate degree or higher in Criminal Justice preferred. Must be able to obtain bureau of Indian Affairs (BIA) special Law Enforcement Commission (SLEC) certification; excellent written and verbal communication skills; ability to handle stress and remain calm under adverse conditions; make accurate and precise decisions while employing good reasoning ability and critical thinking skills; must be 21 years of age, have a valid driver’s license with an acceptable driving history, be a Michigan resident and be able to meet the departments residency requirements, reputation must be above reproach; must have no domestic violence convictions and no felonies, must successful complete the departments background investigation and drug and alcohol testing. Wage: $21.53 or dependent upon experience. There is a one-year probationary period. Submit completed “Application for Employment” to the Human Resources Department within the Tribal Administration building. Applications can be downloaded by visiting www.hannahville.net/documents. Mail original along with copies of license and degree to: Hannahville Indian Community, Human Resources Department, N14911 Hannahville B-1 Road, Wilson, MI. 49896. If application currently on file, and over 60-day limit, a new application must be submitted. Please no faxes. Call Human Resources with any questions at 906-466-2932.